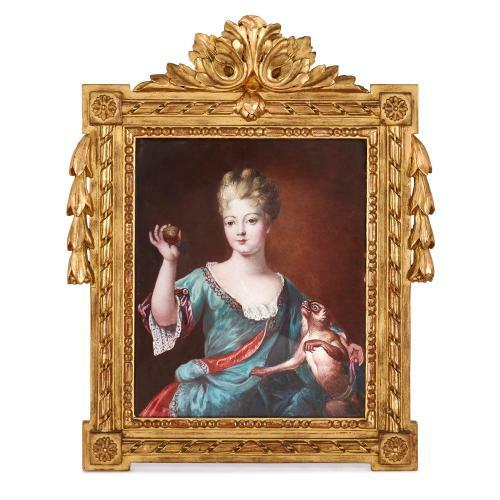 This exquisite enamel painting takes after a famous early 18th Century portrait of Marie-Ann of Bourbon, one of French King Louis XIV's daughters. This delicate and fine plaque is a wonderful piece of enamel painting, completed in Limoges. The French town of Limoges has had a centuries-long association with enamelling, dating back to the Middle Ages. This plaque dates from the beginning of the period of the revival of Limoges' enamel tradition in the early 19th Century, when craftsmen set about making a number of fine enamel pieces, including some fine copies of Old Master paintings. The plaque itself is a portrait of the Mademoiselle de Conti, also known as Marie-Anne of Bourbon, the Duchess of la Valliere. Marie-Anne was an illegitimate daughter of the famed French 'Sun King' Louis XIV, and supposedly one of his favourite children. 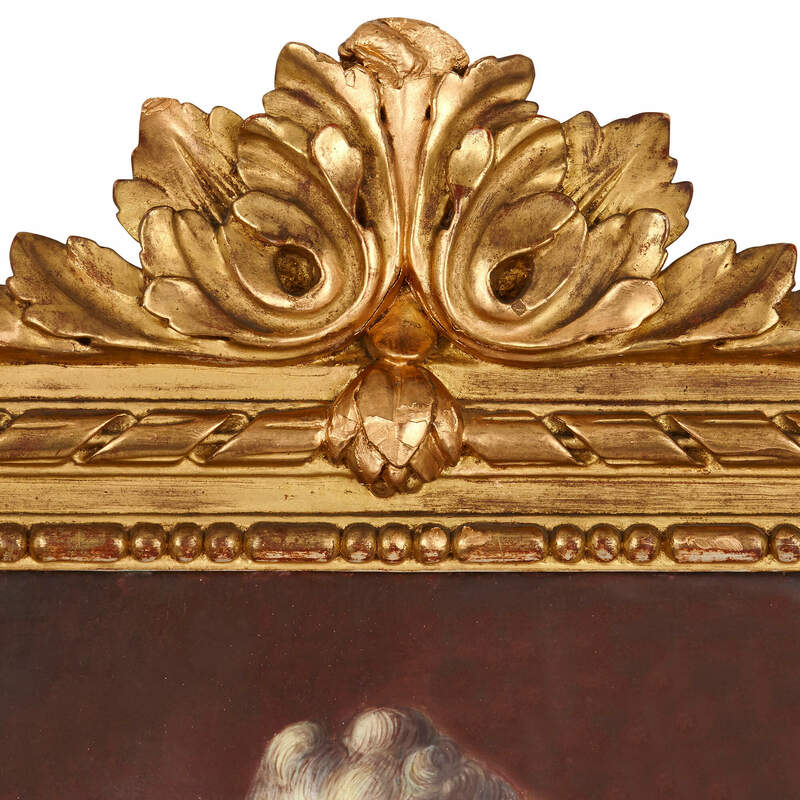 The original portrait - of which this plaque is an extraordinarily well-rendered and faithful replica - was completed by celebrated painter to the French court Pierre Gobert (1662-1744) and now forms part of the collection of the Musée Baron Gérard in Bayeux, France. The plaque shows Marie-Anne as a young woman, holding an apple in her right hand and with a monkey by her left side. 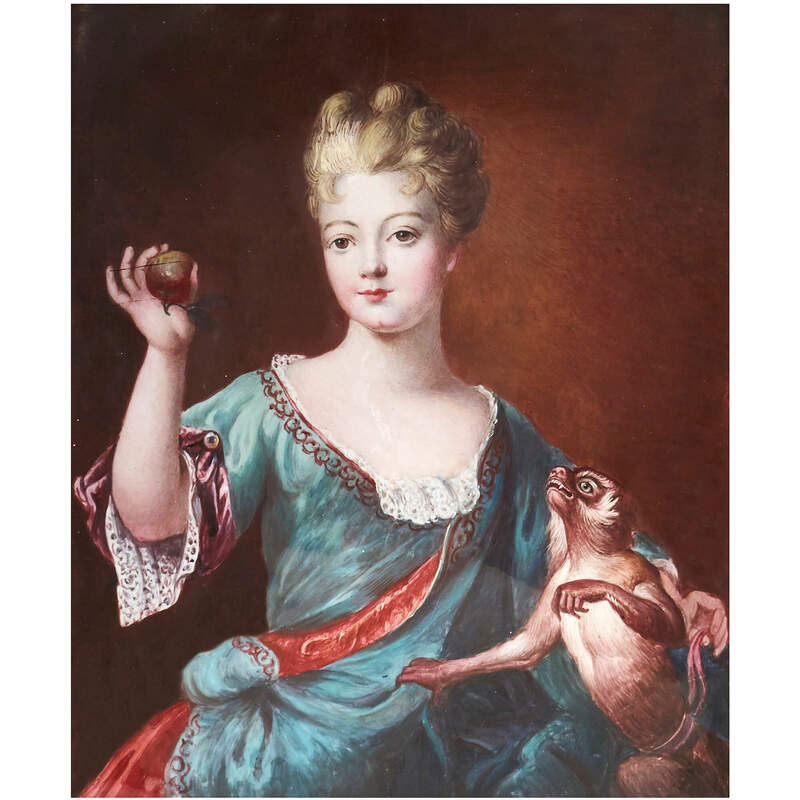 Depictions of important figures with exotic animals such as monkeys was a common feature of portraiture of the period. 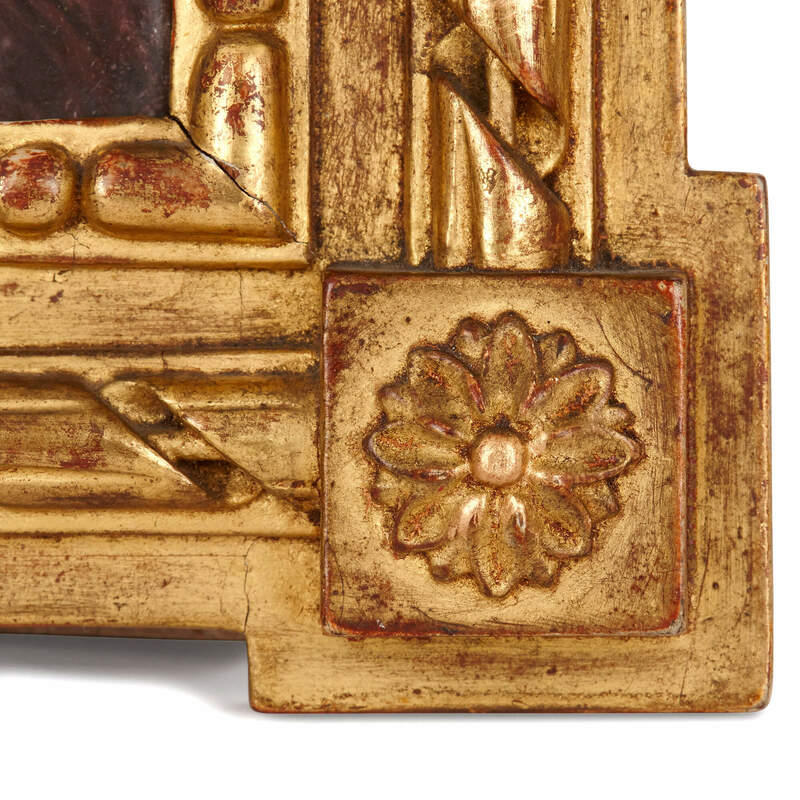 The plaque is set inside a giltwood frame which has been carved with acanthus leaves, floral motifs and beading. It makes a near pair with this other Limoges plaque.